Aug 1 Climbing "Billo ki Powri"
"This is closest I have come to re-living Frodo's journey." "Billo ki powri" is a staircase of 270 steps carved in mountain stone. Towering over Kud town, these stairs bear an uncanny resemblance to the straight stair over Cirith Ungol that Tolkien writes about in his book, The Lord of the Rings. Although the exact date of this landmark is debatable and lost in the shrouds of time, locals claim it was built by the former king of Chenani as a shorter and easier access to Batote town. The skill and craftsmanship that have gone into creating this landmark is quite astonishing, especially in an era when mechanical tools were non-existent. It is a shame therefore, that the lower quarter of this staircase has eroded away with excessive use and the ravages of time. However, from original over 400 steps we are still left with around 270 steps. Climbing these 270 steps is an exhilarating and rewarding experience, although care is needed. The steps are steep as a ladder and throughout the climb I was aware of the long fall behind me. However if you choose to climb on, you will be rewarded with some beautiful views over Kud town. On a clear day one can view the national highway as it meanders along the valley down to Chenani town. On a few rainy days you will be enveloped in dreamy low flying clouds, and for a brief heart stopping moment you can experience solitary existence in a whiteout as you cling on to the mountainside. This trek starts at the Kud-Patnitop NH44 National Highway just after Hotel Jai Skahan. Start by climbing the hill on your left just along the hotel boundary. This brings you to an area enclosed with barbed wire. Though a gap in this wire, walk west to a flat plain. Follow a stream uphill along this plain through a grove of deodar trees till you come to a second grassy plain. This area is an excellent camping ground since it is close to water and it offers a sheltered flat and grassy terrain for a tent pitch. Walk uphill from this camping ground till you cross two water pipes and then a reach wide 45 degree rock face on the mountainside. "Billo ki powri" is carved diagonally across this rock face. Bus / Taxi. Buses ply regularly (every 30 minutes) between Kud and Patnitop. Taxi can be hired from Patnitop. Nearest train station is Udhampur (arrivals / departures). 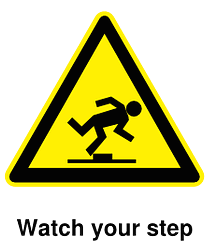 Caution - The steps are worn and smooth at the edges, and some are broken. Be careful when climbing over broken sections, especially if it has been raining. Tourists have taken to throwing beer bottles on these steps, so be careful where you lay your hands. View the trekking route on Google Maps by clicking this link.